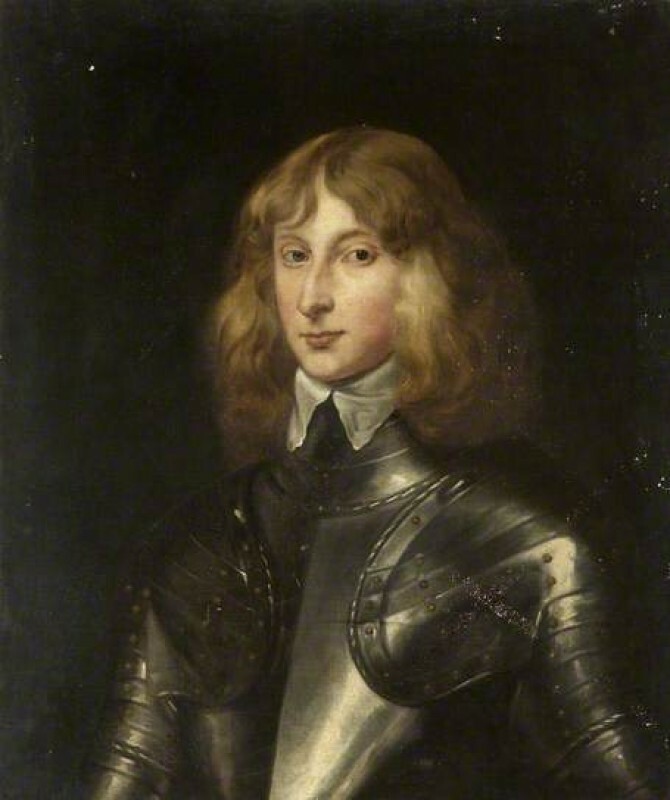 The Captain Christie Crawfurd English Civil War Collection wrote in to Art Detective to request further information on the ‘Young Man in Armour’ in their collection. In 1978 it was suggested to be a copy by Van Dyck. It was observed that the sitter is probably from the Civil War period and is unlikely to be by the studio of Van Dyck. It was concluded that the work was by a follower of Van Dyck, that the execution date is around 1630s or 1640s and the sitter is possibly Lord John Stuart (1621–1644). Dave Evans was the first to comment and noted that the sitter looked similar to Van Dyck’s works of James Stuart or John Stuart. Graeme Cameron agreed with Dave and elaborated on the possibility that the sitter may be John Stuart, noting his year of birth and death along with further biographical information. The collection commented to agree with the resemblance of James Stuart and John Stuart. Adam Busiakiewicz suggested the work was a late follower of Van Dyck, noting the portrait seemed too flat to be considered a studio piece. Bendor Grosvenor noted it is a copy of part of his late portrait of George, Lord Goring. He noted that Van Dyck did not re-use the Goring post himself so the work is unlikely to be a copy of a lost original Van Dyck. The collection commented to say that the overall view is that the subject is Lord John Stuart. Bendor, the Group Leader, concluded the discussion by stating there is not enough firm evidence to attribute the sitter, but that the work is by a follower of Van Dyck. The collection were happy with this outcome and noted that it was a ‘valuable exercise’. Who is the 'Young Man in Armour' and what painting is it a copy after?